Read what are customers have to say. "More than happy to go the extra step to satisfy the client. A top shelf operation"
"We're back from vacation and we love our floors." "Wanted to reiterate how great the floors look, we are still amazed! So happy we refinished!" "I wanted to Thank you for The beautiful, careful work you did on our dining room floor and also for being so pleasant and easy to work with! You are a pro - I'd be happy to serve as your reference." "Mike, Thanks again for the work preformed. I appreciate your professionalism and guidance throughout the process." "Many thanks for another great job! Your guys are polite, professional and were able to work around our schedule. The floors look great and the blending of the new room into the adjacent room was perfect. Thanks for your great service!" "First, let me say that I LOVE my kitchen floor! I am glad we found you!" "We just wanted to let you know how happy we are with the job you did on our floors. They turned out absolutely beautiful! We couldn't be happier with the experience we had doing business with your company. We will be sure to recommend your services to all of our friends and family. Thank you for the exceptional service. We look forward to doing business with you again in the future. Thanks again." "I want to take this opportunity to thank you and your crew for the exceptional job that you did in repairing the buckled hardwood floor pieces that then refinishing the room. I was concerned that the patch would show since this was the original oak floor from when the house was built in 1961. My concerns were totally unfounded. The patch is invisible, several people have seen it and could not find where it was done. Your crew worked fast and took care of the edges of the rooms around the room your repaired. There was no dust or residue in any of the adjoining rooms and when they finished their work each day the space and the rooms that were used to get to the dining room were totally free of any residue/trash from the day's work. Although there were estimates that were slightly lower, you gave the best explanation of the problem, how it would be resolved, and what would be done to bring the floor back to its original appearance. I want to extend my appreciation to you and your crew for the job they did and the way it was done. Again many thanks for the excellent work you and your crew did in my home." "Quality workmanship and a professional approach to his craft. Mike walked us through the entire process and was extremely easy to work with. We plan on using him again when we decide to get the rest of the floors finished." "Thanks for doing such a beautiful job on the floors "
"Mike and his team did an outstanding job refinishing the hardwood floors in our home. I really appreciated his openness and communication throughout the process so we knew how everything was going. His willingness to share his knowledge and expertise made us feel very comfortable with his work. The high quality of service, competitive pricing, and timeliness of his work sets him apart from other contractors in this space. If you need any kind of work done with your hardwood floors, go with Henning's Hardwood Floors." "Mike, floors look awesome! Thank you!" "You were a total pleasure to have in our home. I just loved your friendliness and kindness to me and am in awe of your technical expertise and work ethic. The floors are spectacular! Thanks so much." 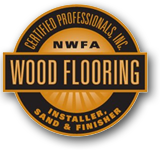 "Thank you Mike for a great job you and your staff did repairing the damaged finish to an area of our hardwood floor in our grandchildren's bedroom. You and your staff were prompt, very professional and certainly skilled in your craft. The floor looks great and the blending of the damaged spot into the rest of the floor was perfect! Thanks for your great service." "I am blown away by you and your company. It is hands down the best experience I have ever had. Thank you again for everything that you have done for us. We are so happy with the floors, your company, and I am planning on posting a review on Angie’s List as well so others can know how great you are. All the best,"
"Thanks so much for a great job! Floors look great and we are very pleased. Would definitely recommend you to our friends and neighbors." "Thank you for a great experience. I was impressed with how thoroughly you cleaned up. Expected a ton of dust but there was little to none. The floor looks great. It is solid and level. At a quick glance, you cannot tell the difference between the original flooring and the new boards. What I appreciated more than the quality of the workmanship was the quality of the interaction which highlighted your integrity and your honesty. Thanks "
"Dear Mike, Thank you for always doing an incredible job. Our home looks vastly improved due to your work and we could not be happier. It was also wonderful to get to know you and hope to still you from time to time. Many thanks,"
"The floors look great!!! You guys did an awesome job!!!" "The floor is GREAT!!! You're a miracle worker (two thumbs up emojis). I'll be a referral to anyone if you need it." "We are very happy with the new hardwood in our family room. You did a great job. Thank you." *Reference list is available upon request.